These days, we rely heavily on electricity. Gone are the days when we used gas lamps and torches. Instead, we have electrical outlets and indoor lighting. We use electricity to power appliances, pools, and even vehicles. 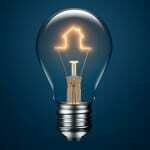 Electricity is a very powerful force, which is why it’s important that you have a residential electrician with the experience to handle that power. And don’t just turn to any residential electrician – turn to us. If you’re encountering any of these issues, we strongly encourage you to contact us immediately. Electricity is not something to be taken lightly, and your safety could be jeopardized if you put off calling an electrician. 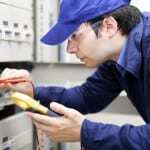 In addition, we also handle emergency services, repairs, rewiring, installation, and specialty services. Our experience is vast when it comes to electricity. So, whether you need an expert on rewiring for a remodeled section of your home or a simple electric repair, allow us to be the residential electrician you can count on. Call us today.